Well each and every day I got to keep on moving. So Jah! Give me oil in a my lamp, keep it burning. Jah give me little oil in a my lamp, keep it burning. 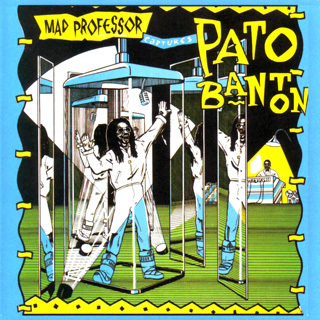 and abiding to the words that Pato Banton is preaching. I would leave that pon ??? pieces when I ask him who you a dealing? like a man struck by lightning he'll wonder what hit him? I'll cramp and paralyze him and then I will leave him. who ever fight against Jah surely deserves a beating. So give me little oil in a my lamp, keep it burning. Just give me little oil in a my lamp, keep it burning. he'll break into your brain and check what you're thinking. but remember all good things must come to an ending. but let me carry on with what I was saying. to choose a life of goodness or a life full of sinning. So when Satan says "come to the fiery dungeon"
it's only a wicked man soul that way will be taking. that's why me say: Do good! And good will follow you! Yeah!